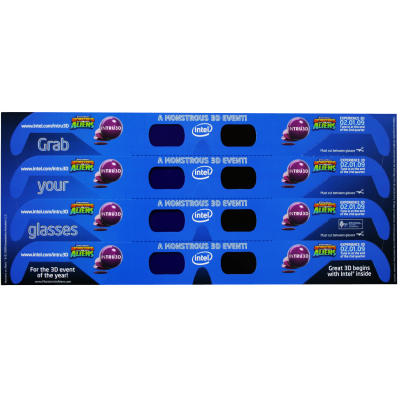 Super Bowl - In 2009, American Paper Optics manufactured over 134,000,000 patented ColorCode 3D glasses for the 2009 Super Bowl commercials. 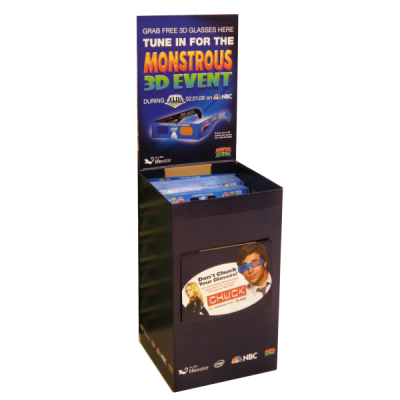 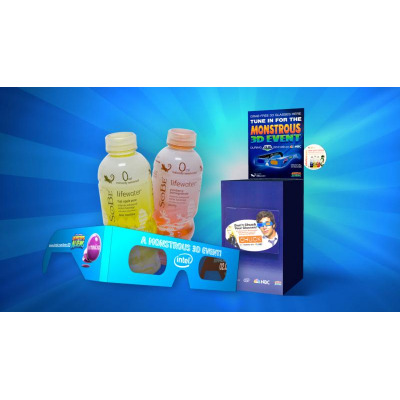 The commercials featured a 3D movie trailer for the Dreamworks movie Monsters vs. Aliens in 3D as well as a SoBe Lifewater commercial. 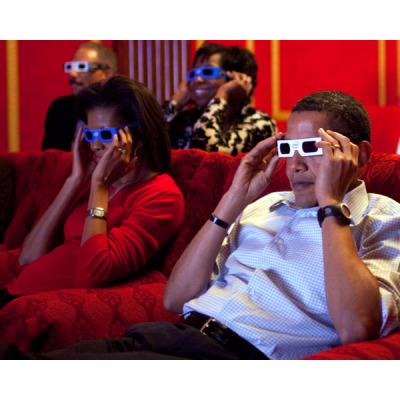 The 3D glasses were also distributed for viewing an episode of the TV show Chuck. 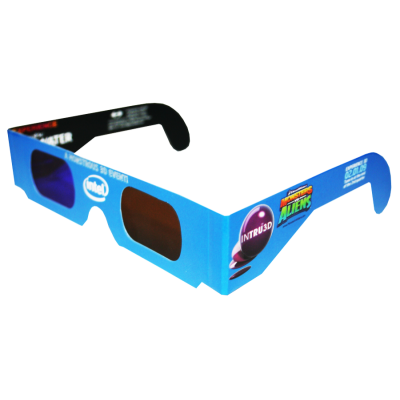 The ColorCode glasses were distributed wherever Pepsi products were sold.